June 2, 2014 Dubai: Saudi authorities have banned the sale of books by two prominent Gulf thinkers known to be sympathetic to the banned Muslim Brotherhood, according to reports. Bookshop owners told the London-based, Saudi-owned Al Hayat daily that they received a circular from the Committee for the Promotion and Virtue and Prevention of Vice, the religious police, to remove publications by Saudi thinker Salman Al Odah and Kuwaiti thinker Tariq Al Suwaidan ‘immediately’. Book sellers told the paper that while the removal of the books was unlikely to lead to losses, works by the two thinkers were among the best sellers in the kingdom. Both Al Odah and Al Suwaidan are reasonably popular figures in their own countries and in the wider Gulf region. Al Odah has more than 4.7 million followers on Twitter while Al Suwaidan has almost 3 million. The crackdown against Muslim Brotherhood figures was intensified in the Gulf following the group’s banning in Saudi Arabia in March. Last August, Al Suwaidan was fired from the Islamic TV station Al Resala by its owner, billionaire media mogul Prince Al Waleed Bin Talal of Saudi Arabia, after he admitted to belonging to the Muslim Brotherhood. Al Waleed had said at the time there was no place for members of the group in his vast network of television channels. Al Odah, who has expressed support for the Muslim Brotherhood in Egypt, has landed in trouble with the Saudi authorities in the past. In March, 2013, he wrote an open letter to the Saudi government calling for reforms before ‘violence is rekindled’. In March, the GMBDW reported that Saudi Arabia had designated the Muslim Brotherhood as a terrorist organization. Also in March, we reported that the Saudi king had ordered that books published by Muslim Brotherhood-related publishers be banned from the Riyadh International Book Fair. In October 2013, we reported that Tariq Suwaidan had been barred from entering Saudi Arabia. Tariq Suwaidan is one of the most important leaders of the Kuwait Brotherhood. He had been General Manager of Al-Resalah Satellite TV, the brainchild of Saudi businessman Prince Al-Waleed bin Talal, until he was removed in August 2013 by Prince bin Talal who said Suwaidan admitted being a leader in the Kuwaiti Muslim Brotherhood. In May 2007, Suwaidan was listed by federal prosecutors in a group of U.S Muslim Brotherhood members named as part of a large group of Unindicted Co-Conspirators in the terrorism financing case against the Holy Land Foundation for Relief and Development, convicted of providing funds for Hamas. Suwaidan is also the author of the anti-Semitic “Encyclopedia of Jews.” A previous post discussed both his background and the struggle to control his Wikipedia page. Another post discussed an interview with Suwaidan in which he called on the Islamic nation to provide “direct support to the armed resistance” against Israel as well as urging Islamic youth to undertake “electronic Jihad” in order to destroy Israeli websites. 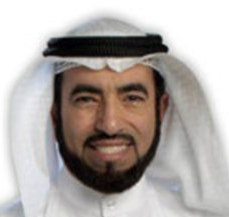 In March 2012, Suwaidan gave a TV interview in which he made various anti-Semitic comments and said that the most dangerous thing facing Muslims is not dictatorships but Jews whom he calls “the greatest enemy.” In June 2012, MEMRI published a profile of Al- Suwaidan detailing some of his extremist views. Salman Al-Oudah (aka Salman al-Oadah, Salman Bin Fahd Al Ouda, Salman Al-`Udah, Salman Al Awda) was formerly associated with Osama Bin Laden but, likely under pressure from the Saudi government, moderated his public positions and has been a regular feature at Global Muslim Brotherhood events. He is known to have been a member of the International Union of Muslim Scholars (IUMS), headed by Global Muslim Brotherhood leader Youssef Qaradawi.